There are some situations that cannot be avoided but you can take measures to avoid them. Similarly, you cannot completely avoid lock and key emergencies but by saving the number of a 24/7 locksmith service on your phone, you won’t have to handle the emergency situation all by yourself. Getting stuck outside your car or home in the middle of the night can be scary - but with us just around the corner, you don’t have to worry at all. Village Locksmith Store operates 24/7 in the Dallas, TX area and we help plenty of customers during odd hours from clients looking for a quick resolution to their problems. Let’s face it, your car key can break anytime in the ignition, the digital lock at your office won’t stop working at a favorable time or a burglar won’t wait for you to improve the locking system at your home before breaking into your home. The onset of a lock and key emergency can never be predicted. If you are facing any of the above-listed problems or have a lock that is refusing to open or have lost a key and are desperately looking for a solution, you will need a locksmith service. That is why Village Locksmith Store works day in and day out to help out its customers. Most of the firms that claim that they offer 24/7 locksmith services either end up abandoning you at the most crucial time or won’t pick up your calls at all. Being available 24/7 takes effort and commitment and that is what you will always get with Village Locksmith Store. You no longer have to wait for hours and hours waiting for a locksmith to arrive. Our team will arrive at your location within 15-20 minutes of your call and will take control of the situation. 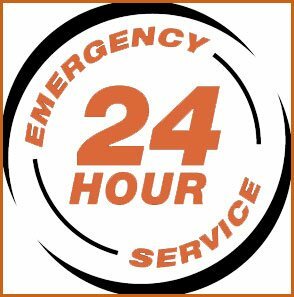 Emergencies do need 24/7 solutions but we don’t limit our 24/7 locksmith availability only for emergencies. Need a lock change or want to add a new garage door to improve the aesthetic appeal of your home? Call us anytime. We won’t question your reasons for calling us at an odd hour because we always put our client’s requirements before our own. For 24/7 locksmith assistance, anywhere in Dallas, TX, call us on 214-382-2786.